After a little change in our plans we are now expecting a new p/s-litter with termin in week 31 – around August 1. 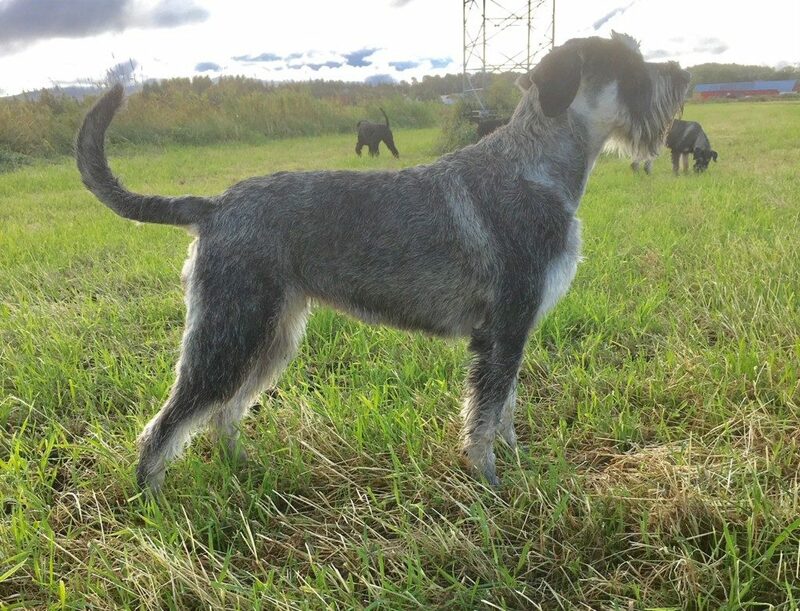 It’s important to remember that Giant Schnauzer is ONE breed – with two different colours – pepper/salt and black. 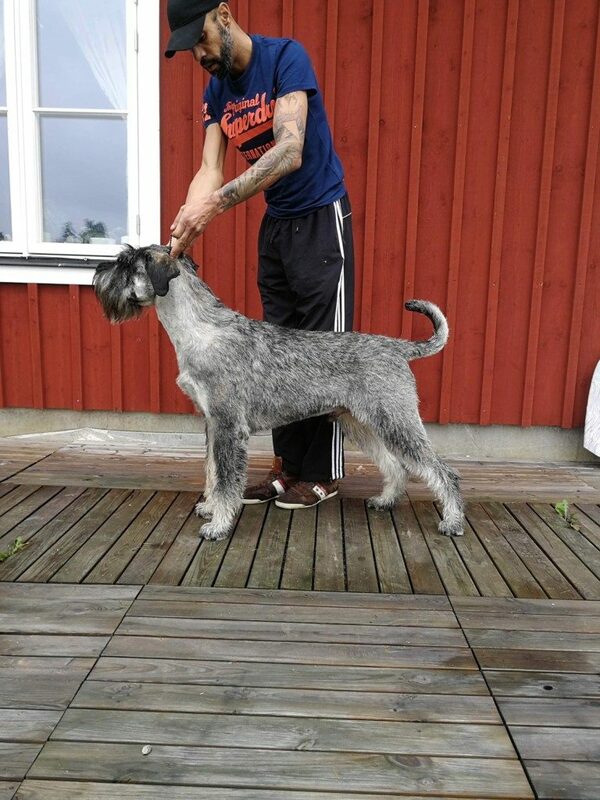 P/s giants is a very small breed compared to black both in Scandinavia and Europe. 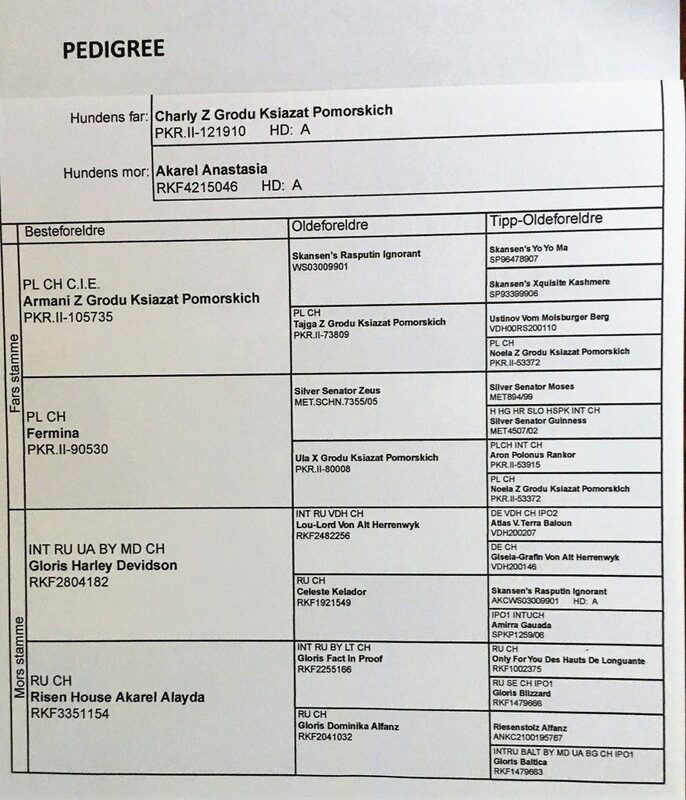 From our breeding we would like to point out Riesen Artic’s Qasko (B resque-dog), Riesen Aric’s Quick Step (3. cl. obedience – Club working dog of 2017), Riesen Artic’s Quentin (3. cl. 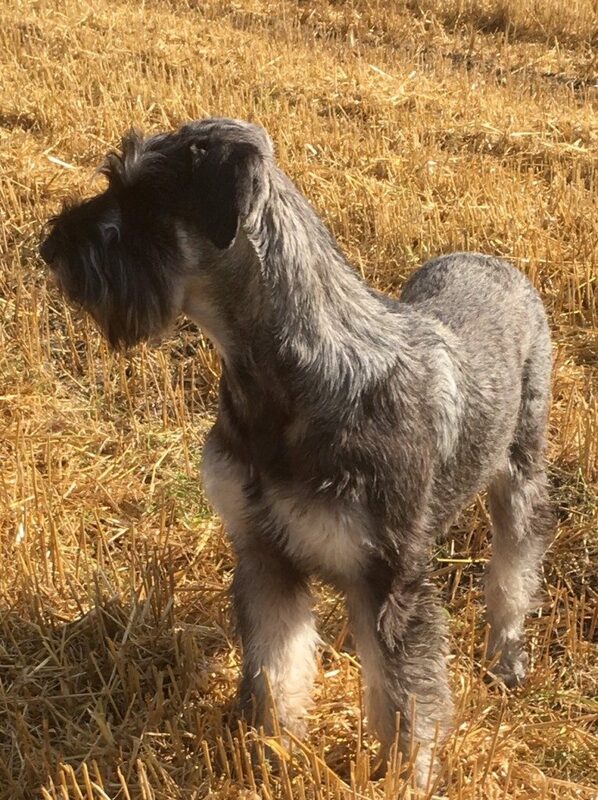 obedience) and last but not least Riesen Artic’s Quantanamera who is N UCH. 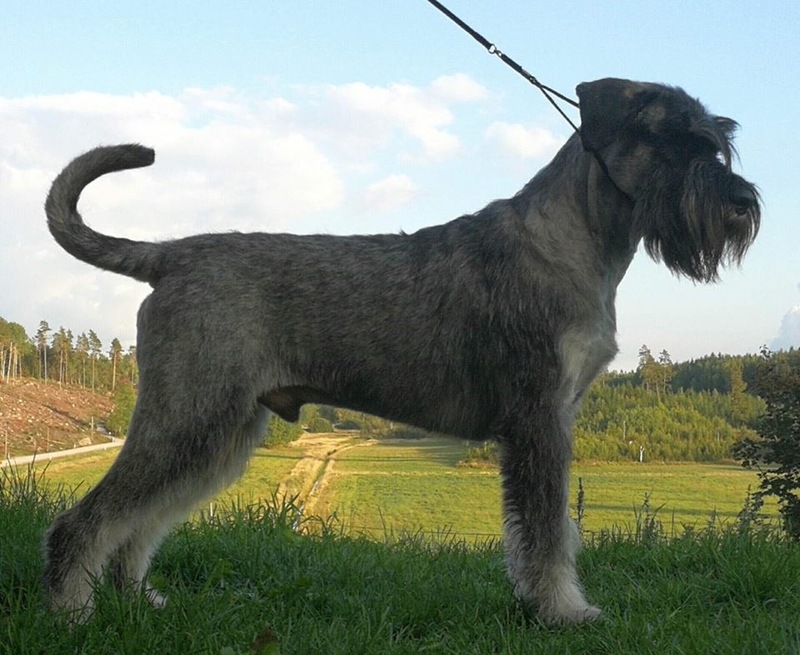 SIRE: Charly Z Grodu Ksiazat Pomorskic (Charly) – Norwegian Winner 2017. He live With his owner in Stockholm, Sweden. DAM: Akarel Anastasia (Stacy) – two CAC from national Shows in Norway. 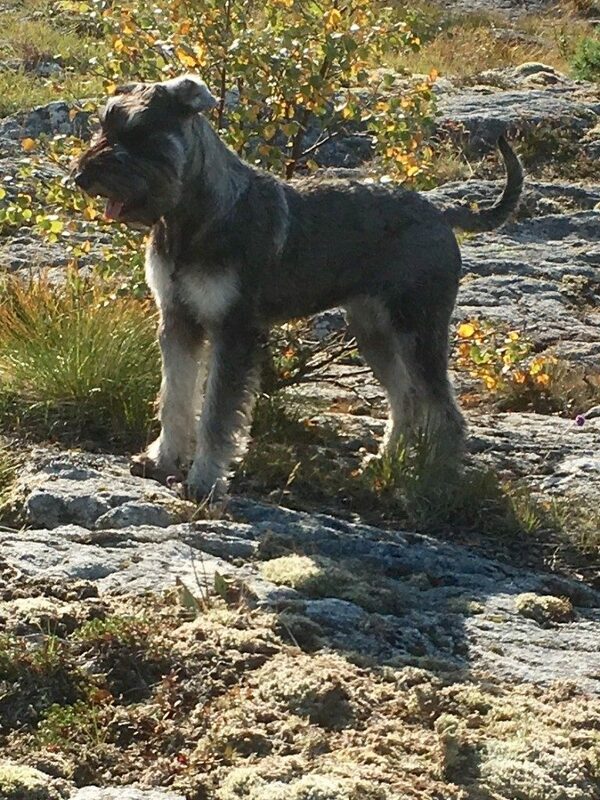 Lives with her owner Family in Hommelvik, Norway. This entry was posted in News, X-litter by kennelriesenartic. Bookmark the permalink.